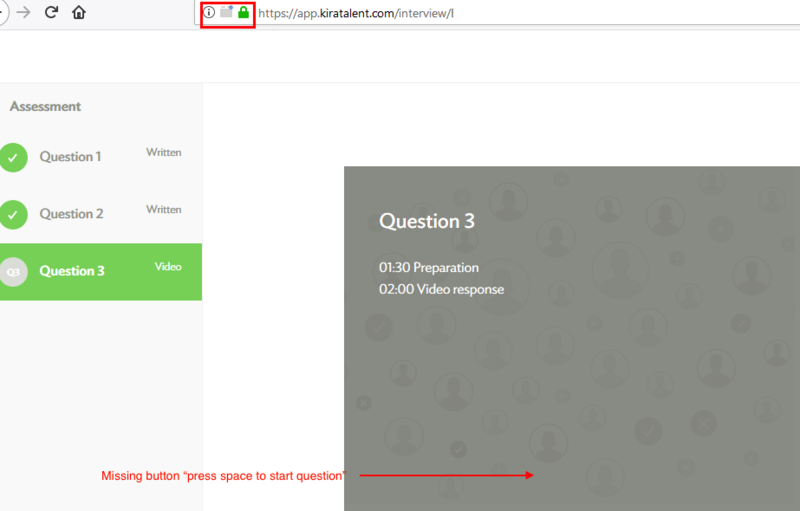 Loading a video question, either in your practice or assessment, should take anywhere from a few seconds to a couple of minutes, depending on your internet connection. As a benchmark, they should take about as long to load as the welcome video. If they do not load, your Flash likely needs to be enabled. 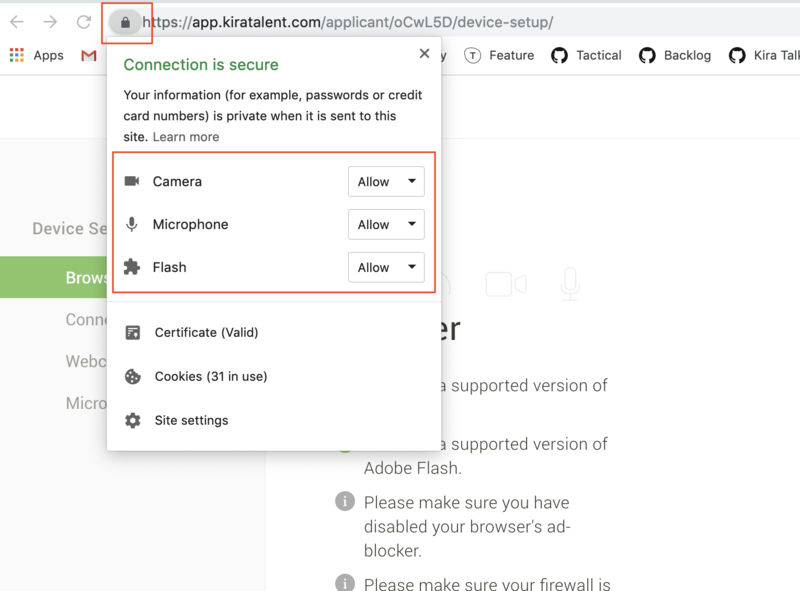 If you are using a Chrome browser, click the lock button to the left of the address bar, and ensure your Camera, Microphone, and Flash are set to "Allow". Note: Not enabling Flash or remembering the decision to allow Flash is often the cause if videos suddenly stop loading between questions in your assessment. 1. Refresh your page and/or go back and complete another Device Setup. 2. Make sure that both your adblocker and firewalls are disabled as these can sometimes block communication with the platform. 4. If your recording is choppy, it may be a connection issue. Try to establish a stable internet connection. 5. If your issues persist, please contact support@kiratalent.com.